While many companies have become very good at recruiting, today's orientation programs fall woefully short and impact your bottom-line potential. Successful Onboarding provides you with not only the business case but also a systematic approach to the entire process — from beginning to end. Your company might be great at recruiting new talent, but if those people find new jobs at other companies and quit within the year, you’ve wasted your money and your time. Worse yet, the people you’ve trained might even help your competitors beat you in the marketplace. It doesn’t have to be that way. According to management consultants Mark A. Stein and Lilith Christiansen, you can prevent this kind of tragedy by simply creating a more effective "onboarding" program for your new hires. In Successful Onboarding, Stein and Christiansen share what they have learned while helping numerous companies develop the human resources (HR) strategies that successfully move outside people into an organization and help them stay there. While offering timely stories from companies such as Apple, Netflix and Microsoft, the co-authors describe the HR practices that help employees acclimate to a new culture, engage with the company, develop higher productivity levels and stick around. According to the latest statistics, one-third of the people hired from outside a company quit their jobs within two years. Studies have also found that within six months of getting hired, almost one-third of new employees are looking for a new job. There is a problem here. The co-authors of Successful Onboarding argue that a better HR process for bringing in new people and integrating them into the organization is needed by companies in all industries. 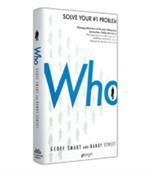 Throughout their book, they describe a systemic and strategic approach that can help company leaders move beyond ineffective orientation programs to better connect employees to their new employers. 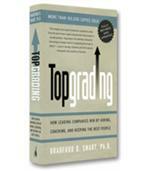 The approach the authors offer is built on four "pillars" that support a company’s employee retention efforts. The first of these pillars is early career support. One role model that is presented, who has mastered this pillar, is Cynthia Mills, who manages sales assistants in an upscale jewelry retailer in New York City. One of the keys to her success as a hiring manager is the early career support she offers to new salespeople. For example, Mills sits down with new hires on their first day and asks a series of questions that demonstrate her interest in their career development. These questions include: What attracted you to the job? What do you hope to learn? What are your biggest goals? What kinds of support do you need? What are your greatest strengths? Listening closely to employees’ answers and using them to create personal development plans can go a long way toward helping people feel more connected to an organization. The second pillar in the authors’ program for successful onboarding is a deeper orientation into the organization’s culture and its performance values. 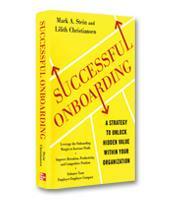 Stein and Christiansen explain, "Cultural acclimation is a vital component of a best-in-class onboarding program." The best way to encourage this is by creating "open, honest, authentic conversations about organizational culture with new hires." The third pillar of the onboarding program involves sharing greater insight into the company’s strategic direction and goals. This involves teaching new hires about the company’s current strategic position and describing where the organization wants to go. The authors write that employees should understand how they play a vital part in the company’s strategy. Finally, the fourth pillar of the program involves creating activities and experiences that enable the new person to build beneficial relationships. Better relationships early on satisfy peoples’ social needs, which helps them become more productive, more engaged, happier and more likely to stay on board. In addition to the four vital parts of a successful onboarding program, the authors write, companies must also develop better systems of feedback and accountability, as well as better diagnostics to measure success. Successful Onboarding offers organizations a better way to reduce operating costs through more cost-effective HR programs. Through relevant stories of companies that have been able to reap the benefits of these types of strategies and practices, Successful Onboarding helps companies develop and retain a stronger workforce.